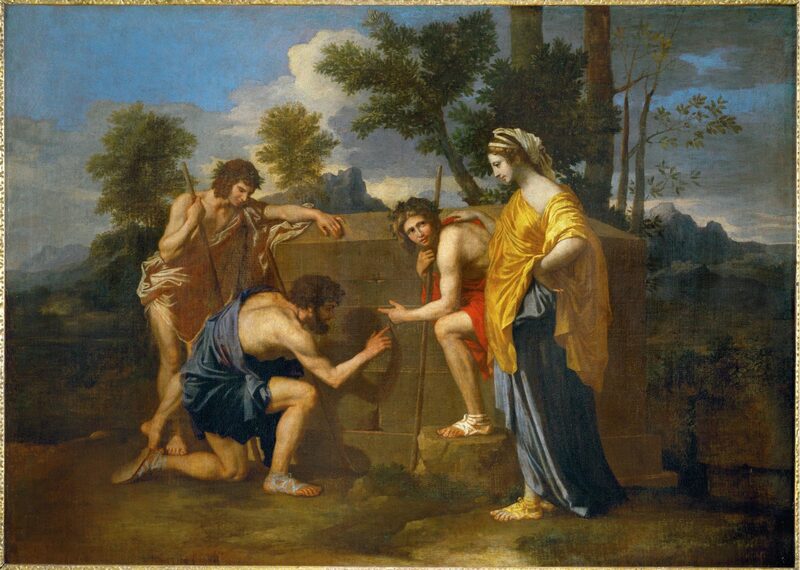 Introduction: There is a famous painting by Poussin that hangs in the Louvre — The Shepherds of Arcadia. Four shepherd youths pause in an abandoned garden wilderness deep in reflective meditation. 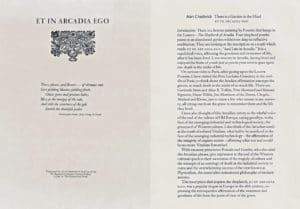 They are looking at the inscription on a tomb which reads: ET IN ARCADIA EGO, “And I am in Arcadia.” It is a sepulchral voice, affirming the goodness and sweetness of life, after it has been lived. I, too was/am in Arcadia, having lived and enjoyed the fruits of youth just as you in your reverie gaze upon me: death in the midst of life. On various visits to Paris, after gazing upon the Louvre Poussin, I have visited the Pere Lachaise Cemetery in the middle of Paris, to think about the Aradian affirmation amongst the graves, so much death in the midst of so much life. There are Gertrude Stein and Alice B. Toklas, Yves Montand and Simone Signoret, Oscar Wilde, Jim Morrison of the Doors, Chopin, Abelard and Eloise, just to name a few who remain in my memory, all crying out from the grave to remember them and the life they lived. I have also thought of this Arcadian outcry as the wistful voice of the end of the culture of Old Europe, saying goodbye, in the face of the emerging industrial and technological society, the graveyard of Western culture. 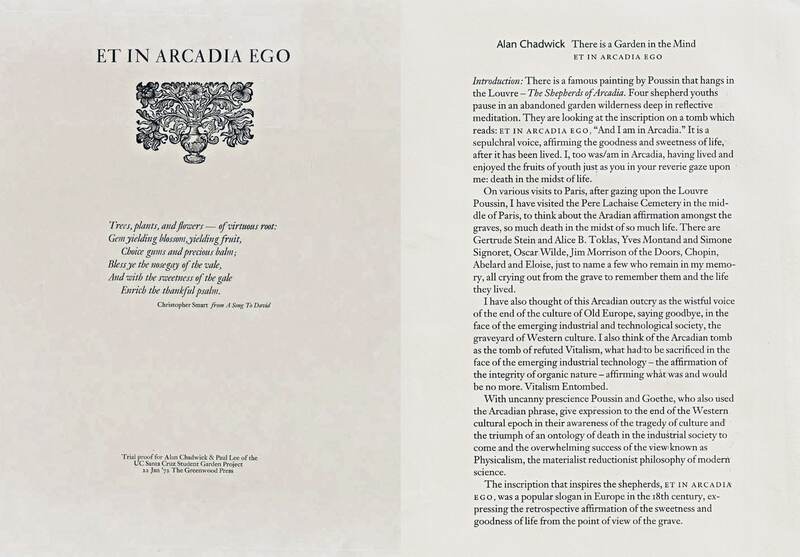 I also think of the Arcadian tomb as the tomb of refuted Vitalism, what had to be sacrificed in the face of the emerging industrial technology — the affirmation of the integrity of organic nature — affirming whit was and would be no more. Vitalism Entombed. With uncanny prescience Poussin and Goethe, who also used the Arcadian phrase, give expression to the end of the Western cultural epoch in their awareness of the tragedy of culture and the triumph of an ontology of death in the industrial society to come and the overwhelming success of the view known as Physicalism, the materialist reductionist philosophy of modern science. The inscription that inspires the shepherds, ET IN ARCADIA EGO, was a popular slogan in Europe in the I8th century, expressing the retrospective affirmation of the sweetness and goodness of life from the point of view of the grave.